On February 6, 2017, Queen Elizabeth II marked her 65th year on the throne. Already the longest-reigning sovereign in the history of the British isles, this achievement is an even rarer feat that no other British sovereign has ever obtained. It is even doubtful if any future king or queen would out-reign her. But there is an implication: the longer Her Majesty reigns, the less time her son and heir, Charles, Prince of Wales, has to prove himself a capable king. This casts the question: will he even ever reign? But it is not difficult to assess how it would be to have a King Charles on the throne. Many foresee him to be the biased, meddling king, who would always want to have his way in the government—a stark contrast to Queen Elizabeth II’s neutral, above-politics persona. For most of his life, Charles has been overlooked, even mocked and hated for his personal life and political meandering. But it is expected that Great Britain will have him as its Head of State, perhaps even sooner than later. Since 2013, Queen Elizabeth II has slowed down from work. While it is highly unlikely that she would abdicate, everyone should accept the fact that the Queen won't reign forever. In Prince Charles: the Passions and Paradoxes of an Improbable Life, royal biographer Sarah Bledell Smith gives us another riveting book ideal for royal followers around the world. This time, she paints a clear picture to Charles’ misunderstood personality in the hopes of making everyone see the kind of royal and individual he is. Smith’s latest book is the result of four years of research, a culmination of hundreds of interviews with royal insiders, former girl friends, and reliable resources, making this book a credible and creditable source of the Prince of Wales’ life. 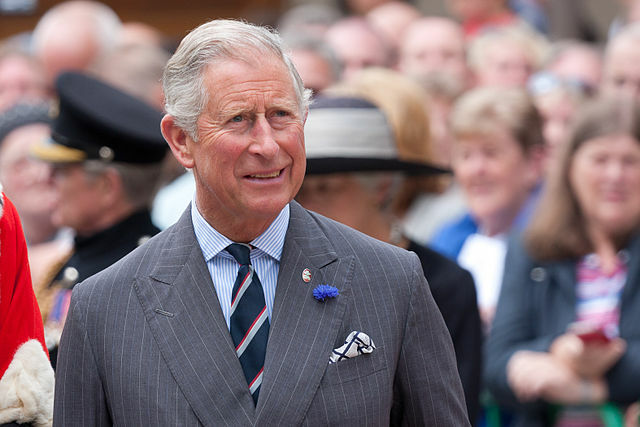 Despite the comfort afforded by being the heir to the throne, Charles’ life was far from a bed of roses. In the book, Smith details about Charles ambitions, insecurities, and convictions. He was compelled to endure a lonely childhood and he had to live up to the expectations set forth by his strict father, Prince Philip. No wonder, he was so close to Queen Elizabeth the Queen Mother, who plead to her own daughter not to send Charles to Gortonstoun. But Philip had won over, sending him to “toughening up” schools and camps where self-discipline meant tolerating bullying and cold water baths in the morning. Charles survived those hurdles and embarked on a military career. The book also tackled that time when he had to marry Diana, not because he loved her but simply because he had to. The result was two beautiful sons but a broken family and a tragic death for Diana that nearly doomed the Royal Family. In the end, Charles reunited with his true love, Camilla, marrying her in 2005. Smith describes Charles as an independent man with the fiery passion for the causes close to his heart, particularly his quest to save the environment. But at the end of day, he still remains the King-in-waiting, a life dictated by protocols which, more often than not, he struggles to obey. To borrow the words of Tim Brockaw, Smith’s work offers a “complete and compelling portrait of the man in the shadow of the throne,” a life highlighted by the contradictions of a man who is both tragic and compelling.